AFFECTVS & Lamia Culta are set to release their second opus, Blessings from the Darkness on Black Mara Records. 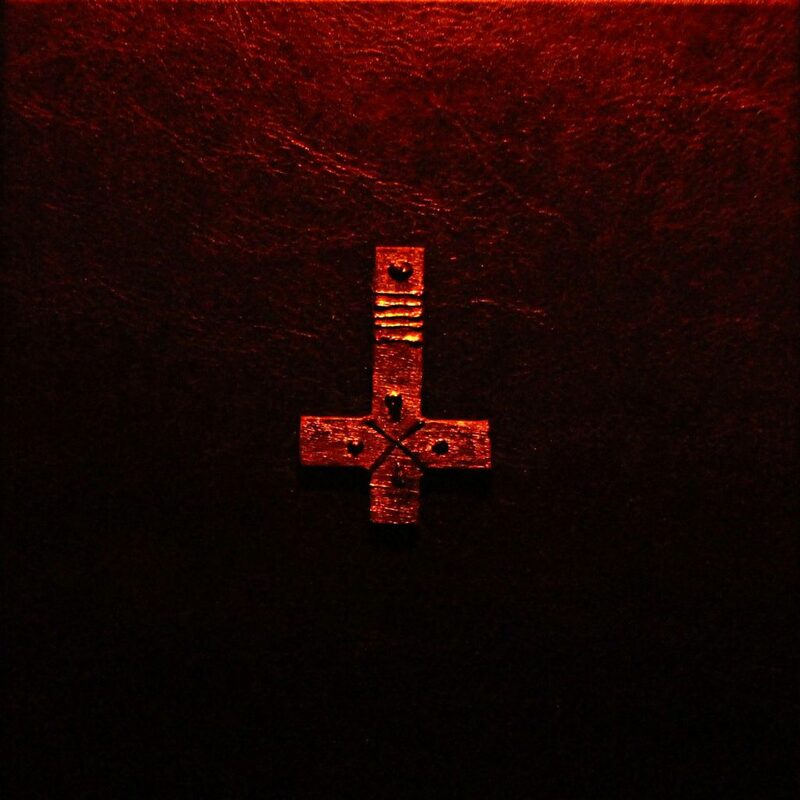 A continuation of their previous themes, Blessings from the Darkness is a ritual ambient album focused on their Luciferian religious leanings. Yet, the music created has enough technical prowess to allow listeners with no religious creed to enjoy Blessings from the Darkness. I recently spoke with AFFECTVS and Lamia Culta, two parts of Corona Barathri. They gave some insight into their mindset, creative processes and the future of their project. Enjoy! Michael: Congratulations on the new album release. Blessings from the Darkness seems to be an excellent evolution in your sound. Are you happy with the final product? AFFECTVS: Thank you from all the wicked hearts! In fact, this material was recorded earlier than Homines Sacerrimi [Opus I], it was our debut work in collaboration with Lamia Culta which we recorded at the end of 2015, originally this work was called De Spiritu Diaboli in Homine (Spirit of the Devil in Man). But, in the end, we added 4 more tracks to it for integrity, made a re-mastering, and as a result the occult material got a new life and was embodied on the Russian label Black Mara. Lamia Culta: We put in a lot of effort to get this result. Michael: Black Mara has prepared an exquisite limited-edition physical release. Was this their making or did Corona Barathri provide all these amazing items to the package? AFFECTVS: Yes, the release was prepared by the members of the label Black Mara, they decided that our material – should be released in an exclusive edition. We submitted the idea for additional attributes (incense and sigil of Antichrist for meditation). This was embodied with the support of the Cultus Diaboli adepts, as an auxiliary material for descent into the depths of Gekhinom, for the unification of all the dark souls and the embodiment of the Devil’s design. Michael: The physical release comes with a herbal mix called “The Evil Smoke”, can you elaborate on this blend and explain to fans how it is best used? 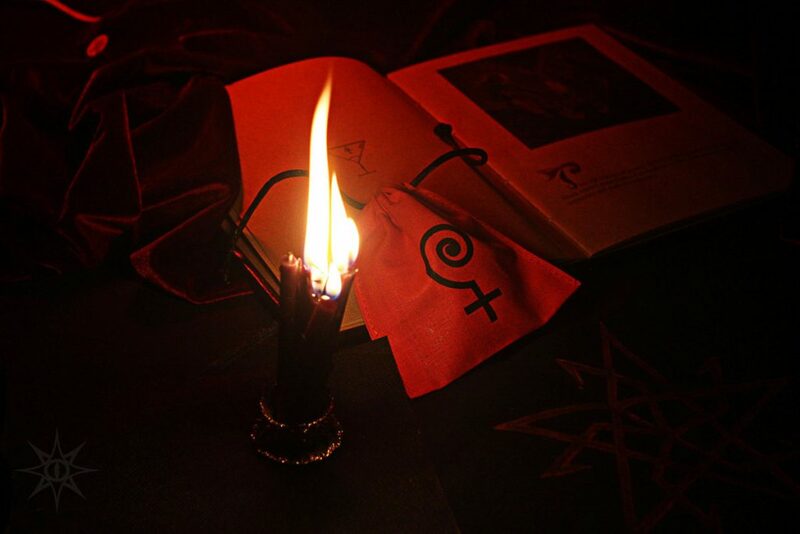 AFFECTVS: Smoke of incense – clears the mind of all extraneous and alien, helps to direct one along a downward spiral deep into the inner Darkness, in order to come into contact with the Principle of the Antichrist. Michael: Corona Barathri is such a highly ritualistic experience. Do you consider each album to be a full rite from beginning to end, or are these separate rituals collected into a whole? AFFECTVS: The two opuses are interrelated, they are the Heritage of the Devil. Each track is a Call to the Darkness, it is an Appeal to the Evil Force in different manifestations and aspects. Each track is a Hymn to the Devil. Each Face of Darkness – in essence its only Force. This is transcendental immersion in the Darkness. Lamia Culta: In general, all of this project is one Ritual, even if it seems like separated parts. Michael: The leather-bound magic book includes a detailed description of the album. Will this be an explanation of the individual tracks, the lyrics printed in their Latin form, or a bit of both? AFFECTVS: It contains a description of the tracks, some key texts that were used in this opus. Also there are pictures, dark art – by Lamia Culta, contemplating which will be given the right impulse for immersion in the mystical atmosphere. Michael: Speaking of the Latin, Lamia Culta uses a lot of, or entirely, Latin verses in her vocals. Do you have an education in the Latin language? Have you learned these verses on your own? Are these verses taken from a greater religious text? Lamia Culta: Latin language is often used In Black Magic and Sorcery , so , at least, the basics, is a necessity on this Path. Some texts were composed by Corona Barathri, some were given us by some Dark orders. Michael: If you are trained in Latin, what are some of your other favorite texts in this ancient language? Lamia Culta: There is no favorite, I use the Latin language in some rituals of glorification. Michael: Is your music focused only on the current state of your being, or does it also reference ancient times, some old cults throughout the history of the world? AFFECTVS: Our Creativity is an integral part of ritual practice and Dark Being. It bears the imprint of the ancient Cults of the Devil. Lamia Culta: I think our music is from the worlds where there is no time. It is from the occult. It seems like from the ancient because of it`s melodies or some instruments. But sounds that appear in our minds always exist beyond . Michael: Do you follow a specific religious doctrine, or are these rituals totally of your own creation? AFFECTVS: We belong to the Orthodox Diabolical Path. 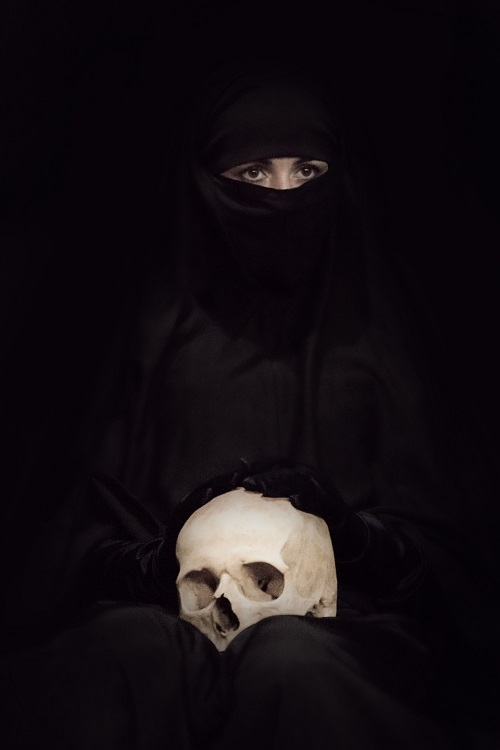 Lamia Culta : We have created our own ritual as a base, that I prefer to call Dark Tradition. This is the Path of my heart. 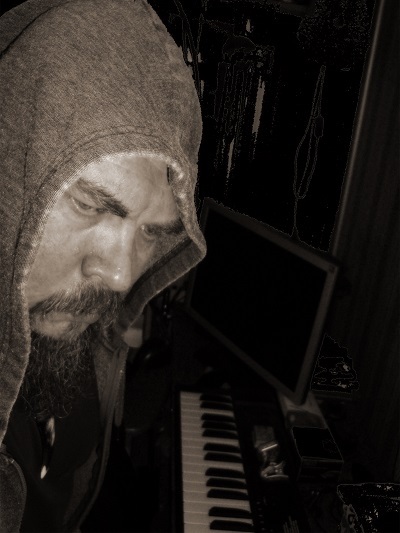 Michael: AFFECTVS seems to have a thorough understanding of the ritual ambient style. 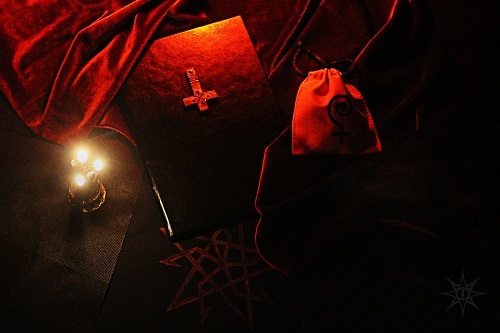 Blessing from the Darkness easily equals many other ritual ambient projects. Have you been working in this style for many years? AFFECTVS: Yes, I have been long interested in this direction, but, the first demo was dubbed by me in September 2015 under the name AFFECTVS – Ars Magna Atra [Demo MMXV], then in November we started working on a joint material with Lamia Culta. And now we unite in a single occult project Corona Barathri, we joined another musician named Kein from the project Sol Mortuus, now we are in common – we bare the Word of the Devil. Corona Barathri – is not an ordinary musical group, it is a kind of Dominion in a musical formation, the Sorcerous Circle (Coven), in the future our Circle will be replenished – the faithful sons of the Devil. 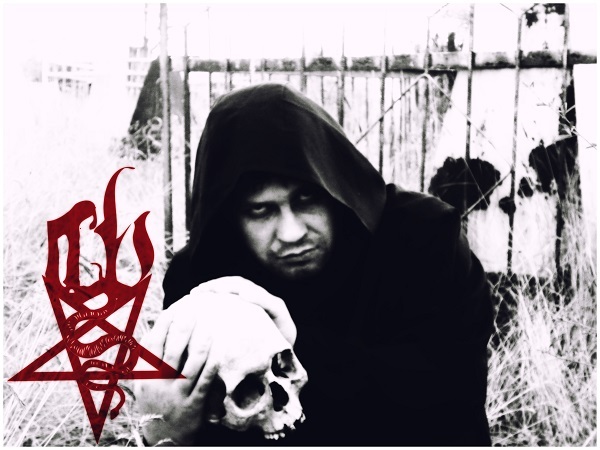 Ayzen Kaoz also takes part in our project with the black metal project Nahemoth and Infernvs. Michael: Do you prepare the music together, as a collective, or do you have individual studios and share your progress on an album between these studios? AFFECTVS: We live in 3 different cities, and we interact remotely. AFFECTVS and Kein – from Russia, Lamia Culta – from Ukraine. I think over aspects of works, texts in cooperation with one more witch from the Cult, I prescribe the darkest soundscapes, Lamia Culta writes vocals and ritual flute, and Kein uses a large number of live instruments (tambourine, tambourine, darbuka, bells, mandolin, cello, etc.) + he is already mastering the finished material. We all worked together, and each brings its essence into a single material. Michael: Are the instruments used in Blessing from the Darkness all traditional, or do you incorporate any homemade instruments? AFFECTVS: At most in this opus, not much was used by the living. But already in the project of Corona Barathri will be embodied the Devil’s Design for 100%. Michael: This is your second opus. It follows Homines Sacerrimi [Opus I], which was released on Noctivagant. Do you consider these to be two parts of a whole, or are they separate entities? Lamia Culta: They are only aspects of the One. Gems in a Crown of the Abyss. Michael: Do your countries have an influence on your sound? Do you think you would have made this music if you lived in other areas of the world? Lamia Culta: Maybe! As for me, I recorded this material during very hard times of my life, So, I didn`t need special tuning to the Darkness. The making of these two albums was already a recourse to Forces. Michael: Have you traveled to any places which had a significant impact on you? Lamia Culta: I have to live in a place that forces me to mobilize all for the struggle and makes me oppose my dark purity to that human and divine mud that seeks to break down and destroy at all levels. Michael: Has Corona Barathri performed any live rituals in the past, would you be open to live performances in the future? AFFECTVS: I do not have experience working on live shows. But, in the future, of course, I would like to work fully and make live ritual shows, like Shibalba – they are for me authoritative musicians in this direction. Lamia Culta: Our project has existed for a year, there were proposals, but the organizers were not able to pay the expenses. Live performances are theoretically possible, but in practice it is very difficult now. Michael: Does this strong religious element only pertain to your music, or does it dictate your entire lives? AFFECTVS: Our Creativity is part of the Dark Path, and the Way is – a life in the Name of the Devil and for His sake! Lamia Culta: I would say that in our project it reaches the highest concentration. Everyday life is not a scene where spirituality will be appreciated. However, my faith affects my life. Michael: Have you played in any previous projects that you would like to mention? Lamia Culta: Lamia Culta, Swamp FM, Capitollium, Divinity, Poltva Sharks and also I do rap as Fosco Culto, sang jazz and many other genres that helped me improve my vocals, but did not improve my financial position. Michael: Do you burn any specific kinds of incense or anoint yourselves with ointments of some kind before performing these rituals? AFFECTVS: The writing of such creativity should be approached with intelligence and spirituality. The night is spent in meditation and ritual, in order to come into contact with the Force, it is better to understand it. In the day – the track is embodied. This is in a simplified form. Lamia Culta: The only incense that accompanied me throughout the whole work is the mist of horror of persecution and hatred of everything that deprives me of freedom. Michael: Thank you very much for taking your time to conduct this interview. I’ll leave the last words to you! Lamia Culta: The whole world will be against me, I’m right, I alone know this and it inspires me. 666.